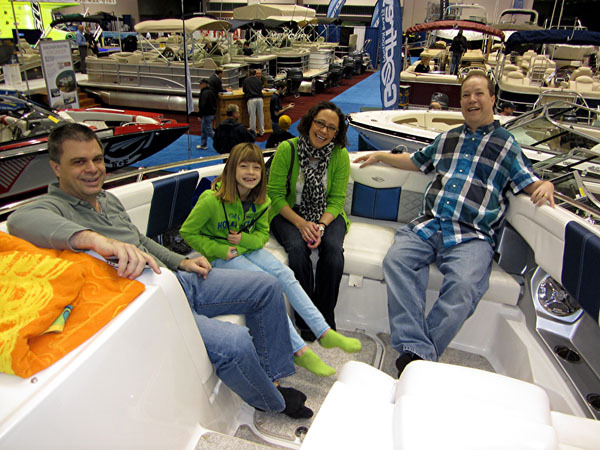 We connected with the Zitzewitz Family and the Geico Lizard at the Minneapolis Boat Show on Sunday morning. 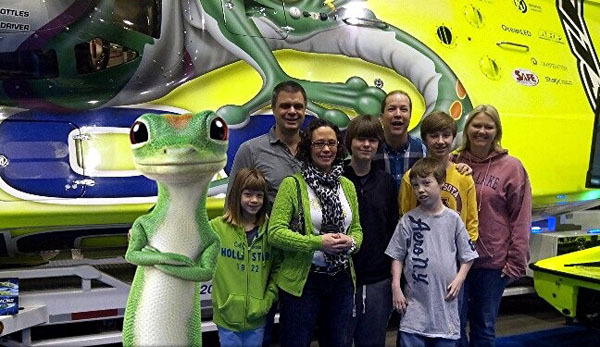 We love hanging out with the Zitzewitz Family, but the Geico Lizard guy is kind of a pain to be quite honest with you. We're still not sure who invited him. 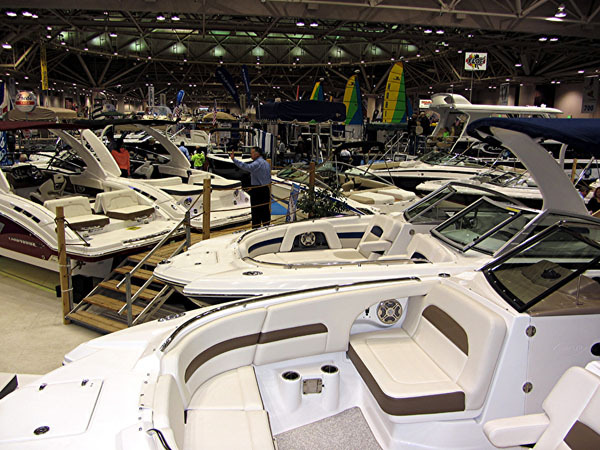 The Boat Show is huge and filled with a massive amount of incredible boats! The boys and I had a lot of conversations throughout the day where I questioned them about just how important college is to their future. And wouldn't a trade school be great instead if we could also spend our summers on a really nice boat? We really enjoyed seeing this race boat. I spoke with the guy here who told me it cost about $2600.00 per hour to run it!! I asked him if he was the driver of the boat and he told me he has driven it before, but mostly he was responsible for trucking it around from place to place. Which also sounds like a lot of fun! 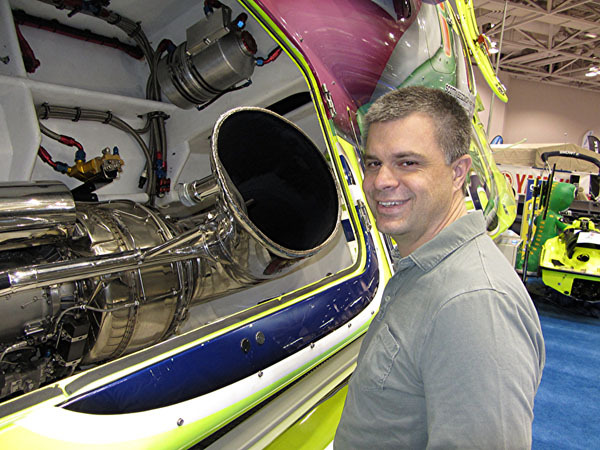 Karl thought this was one of the nicest blow holes he'd ever seen. I must say, I kind of agreed with him. We had to rest a lot because climbing around on boats all morning can be quite exhausting. Plus, you have to take your shoes on and off all day! Which is just brutal. The kids were smart and would take over every cabin they could find and stake their claim. 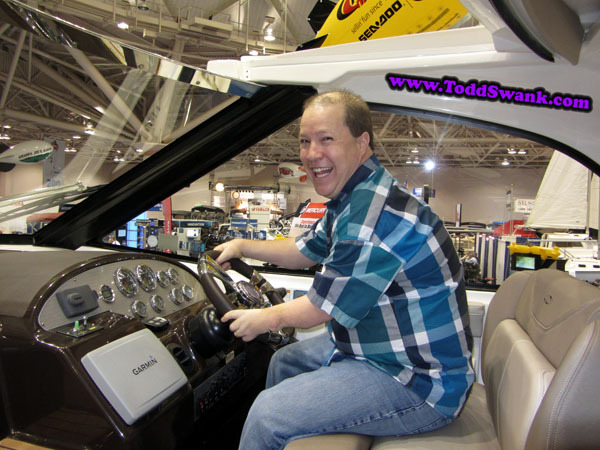 That lasted for a little while until the people trying to sell the boats would shoo them away. Apparently claim stakers are bad for business. Who knew?